Cheap, reliable, and fuel efficient – What more could you want? For those who are looking to buy a used car, there are a lot of things to think about, and no two used cars are ever alike. But if there are three things at the top of a prospective buyers list, it wouldn’t be unlikely for cheap, reliable, and fuel efficient to all end up somewhere near the top. In a recent article, 5 great used car choices were discussed. There’s a little something for everyone: Miadas for fans of a coupe, all the way up to bigger fare like a Pontiac Vibe. When buying from an owner, it always pays to do your homework to make sure you’re getting the best deal possible, or at least a fair one. It’s also never a bad idea to request a used car inspection from the seller if they haven’t offered one already, just to hear from a reliable third party whether or not the car is in good shape. Whatever car needs you have, you can’t beat the hassle free repairs offered by Rolling Auto. 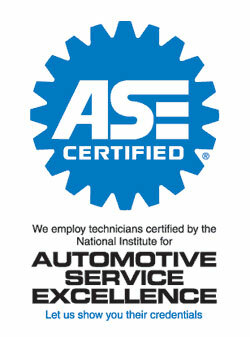 Give us a call whenever you need auto repair in the Venice Area, and we’ll come to you! Posted in Uncategorized on August 20, 2013 at 4:32 pm by Rolling Auto Service.